Mervue Laboratories is the privately owned nutraceutical products division of Inform Nutrition Ireland. Established in 1986 and recently celebrating 30 Years in business Mervue Laboratories was born out of an opportunity spotted in the market of performance animals by two friends Martin Beirne and Denis Twomey. Both worked in the animal nutrition industry and had a passion for quality nutritional supplements. The two friends joined forces to set up the business with one employee in 1986 to set up Inform Nutrition. William Twomey joined the business in the early 1990’s and commenced the groups export programme. Three decades of experience, combined with our nutritional knowledge, have given us the expertise to create a wide variety of products across the species range. A rapidly expanding export growth and robust new product development pipeline has transformed Mervue Laboratories into one of the fastest-growing nutraceutical companies in the world. In 2015 Mervue Laboratories new nutraceutical facility was opened by the Minister for Agriculture, Food, the Marine and Defence, Simon Coveney, T.D. The opening of the new €2 million facility highlighted the significant strength and expansion of Mervue Laboratories as market leader in research-based nutraceutical products for a range of sectors but in particular the Pet & Equine sectors. The expansion enabled the company to continue to accommodate the rapid growth it has experienced over the last eight years and improve R&D and production capabilities. At present Mervue Laboratories manufactures over 400 different formulations, many of them made to the exact requirements of veterinary surgeons worldwide. Mervue Laboratories exports to over 50 countries worldwide. Celebrating 30 years in business this year, Inform Nutrition Ireland Ltd., is Ireland’s leading privately owned manufacturer of animal nutritional products across the whole range of species, including Cattle, Calves, Sheep, Goats, Pigs, Poultry, Horses, racing Camels and the Pet nutrition sector. 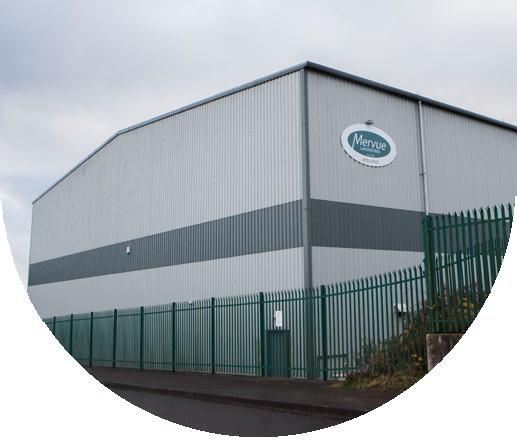 Since it was founded in 1986, by friends Denis Twomey and Martin Beirne, who saw a growing need for high quality customised feed supplements for the Irish farming market, the company has grown to one of the largest premix plants in the country. Following the success of Inform Nutrition, Mervue Laboratories was established as nutraceutical products division of Inform Nutrition Ireland.